Custom home within walking distance to Appleby College! 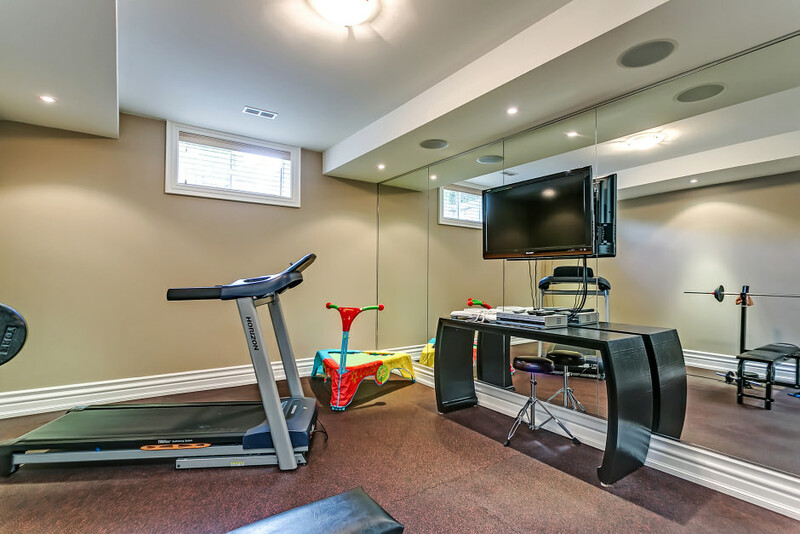 This home is situated on a 180’ deep lot with a prominent Lakeshore Road address. Custom wrought iron gates open to a stucco and natural stone exterior with a charming covered entry. An elegant solid oak door opens to a formal foyer with limestone tile flooring, wainscoting, and 20’ ceiling with oversized chandelier. Some of the high-end features consistent throughout the home include satin-finish oak hardwood flooring, plaster crown mouldings, built-in speakers with Crestron audio control panels, and premium Anderson casement windows with transoms. The double living and dining room boasts a gas fireplace with cast stone surround, vaulted ceiling, and convenient access to the gourmet eat-in kitchen. Custom soft-close cherry wood cabinetry surrounds a central island with breakfast bar seating, or dine in the sunny breakfast area with walkout. Under-cabinet lighting accentuates the granite countertops and stone tile backsplash. High-end appliances include a WOLF 6-burner gas range, WOLF convection oven with warming drawer, paneled Sub-Zero refrigerator, and Miele dishwasher. This family-friendly home boasts a smart floor plan with tons of storage, bedroom-level laundry, and an additional foyer with secondary powder room and inside access to the double-car garage. A formal master retreat is tucked away behind double doors, with an impressive tray ceiling with recessed lighting, walkout to a private terrace, and dressing room with custom built-ins. The five-piece ensuite offers heated flooring, His & Hers vanities, Jacuzzi soaker tub, and steam shower with mosaic tile inlay. Two additional bedrooms share the main five-piece bathroom, while the fourth bedrooms enjoys it’s own three-piece ensuite. The fully finished lower level includes a nanny suite with rear yard walk-up, exercise room and bathroom with steam shower, and recreation room with gas fireplace with full-height cast stone surround and wet bar with two-tiered Caesarstone countertop. 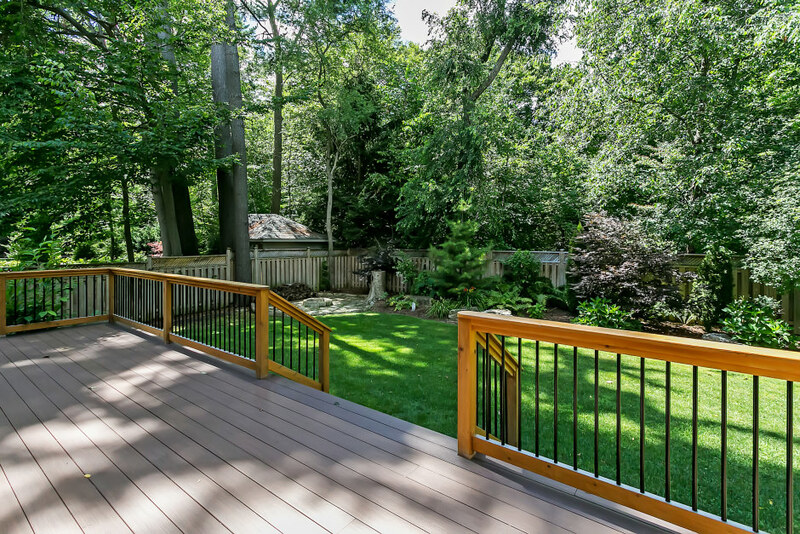 The private, fully fenced rear yard is professionally landscaped with an irrigation system. 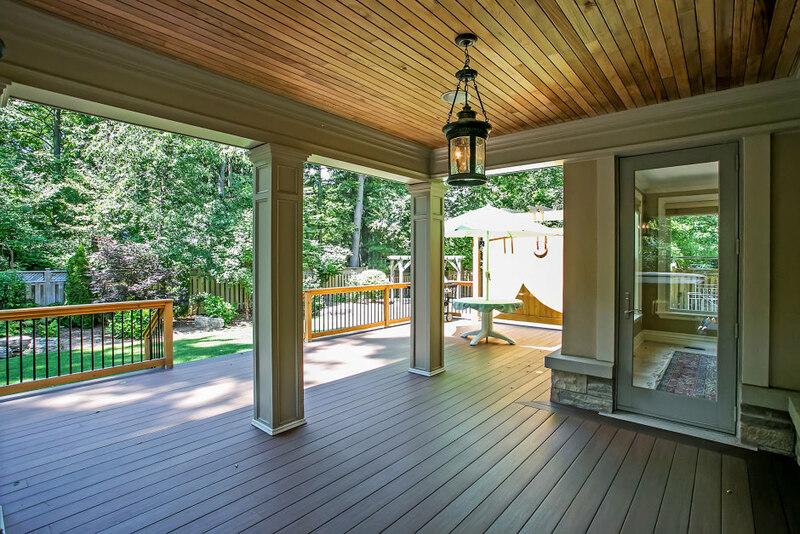 A covered outdoor living room and exposed composite deck offer plenty of space to relax or entertain, with built-in speakers and a gas BBQ line. This fully loaded home is a triple threat, with a functional layout, elegant features, and prime location!